Read Samsung Galaxy Note 9 mobile reviews, opinions, user question & answers. 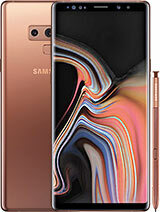 Get free Samsung Galaxy Note 9 mobile via Lucky Draw by posting Samsung Galaxy Note 9 mobile reviews and opinions. AOA, we want to know about the difference between Note 8 or 9 U models and FD models. What is difference and which is suitable in Pakistan?